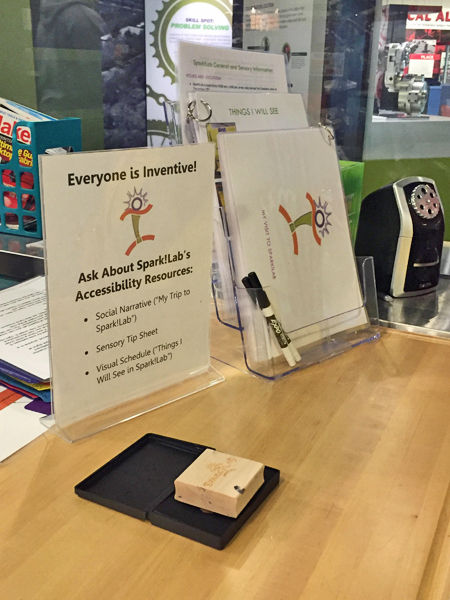 Last summer, Spark!Lab hosted three interns to work on family learning and access projects. I wanted them to work with the staff and volunteers to prototype creative ways we could better support the needs of families and intergenerational groups, before, during and after their visit to Spark!Lab. Each of the projects began with one of our core beliefs: that everyone is inventive. We started to ask: “If we believe everyone is inventive, does that space allow and invite everyone to participate in the invention process? What are we doing for very young kids? 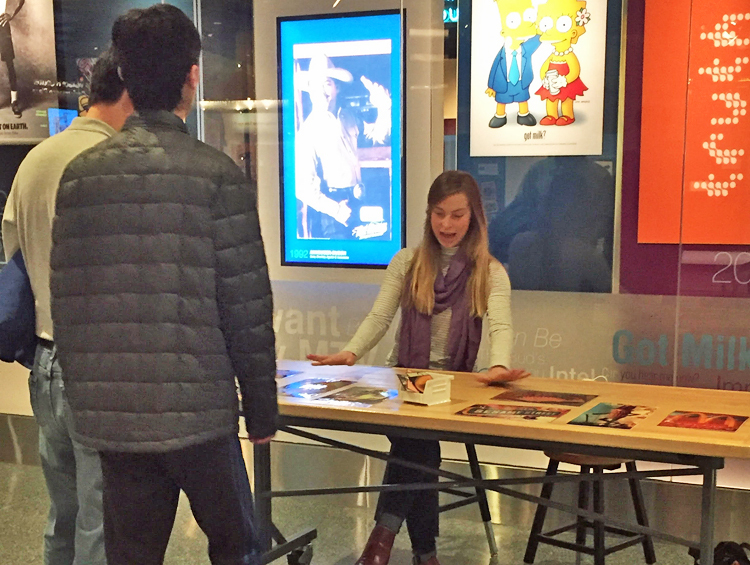 What are we doing for teens? What are we doing for grownups?” Then finally we landed on the question “What are we doing for kids with different learning styles, or cognitive and physical disabilities?” The question launched a months long collaboration with the Smithsonian Accessibility Program to answer it as best we could… by using the invention process! The Spark!Lab team began regular discussions with the Accessibility Program staff, Beth Ziebarth and Ashley Grady, to learn more about what the Smithsonian was already doing for these audiences and how could those models be applied to a hands-on space like Spark!Lab. We talked a lot about resources that could be developed, but that felt more like a patch to cover a hole rather than weaving a permanent solution into the fabric of Spark!Lab. We very much wanted to have inclusion and access be a vibrant, important and everyday part of our innovative culture. A toolkit of available resources like social narratives and sensory tips are important, but we wanted to push further to incorporate these values into our volunteer, intern and staff trainings, declare this is a priority, and to invite families to tell us what they think. 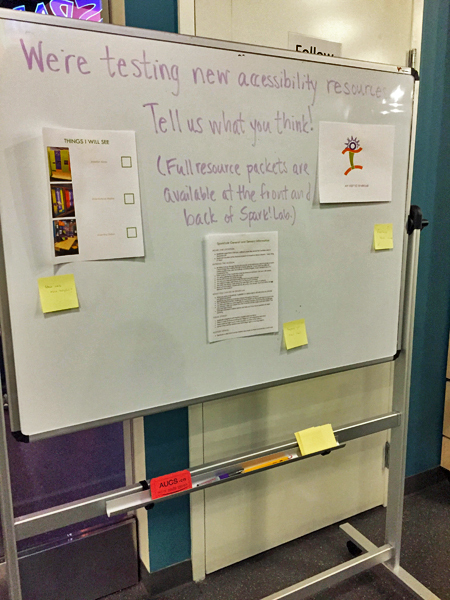 So alongside workshopping elements of universal design and creating social narratives, we provided online and in-person opportunities for our volunteers to learn more about accessibility, ask questions, and work on specific skills like verbal description. 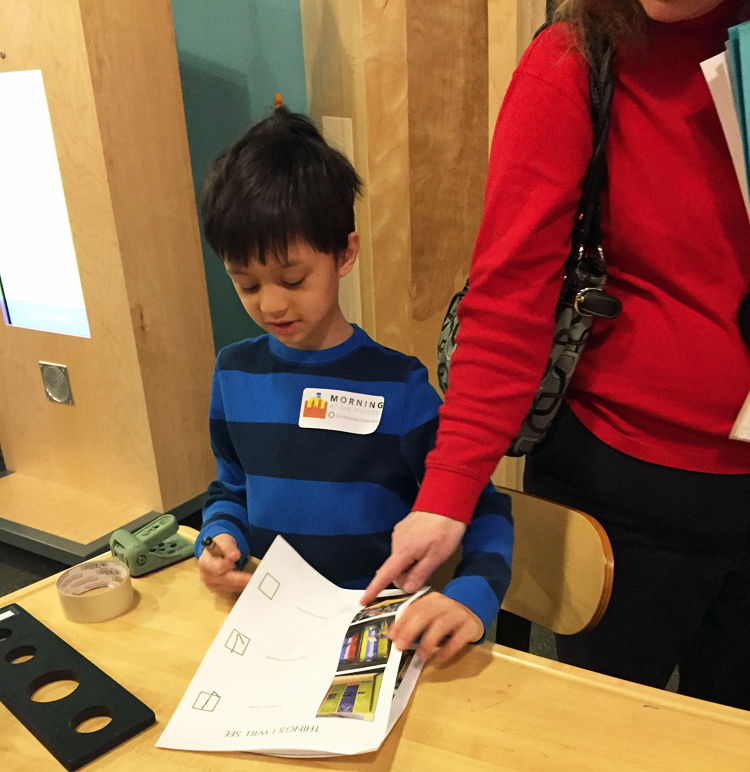 We were able to test our methodology at the most recent Morning At the Museum (MATM) program in March. 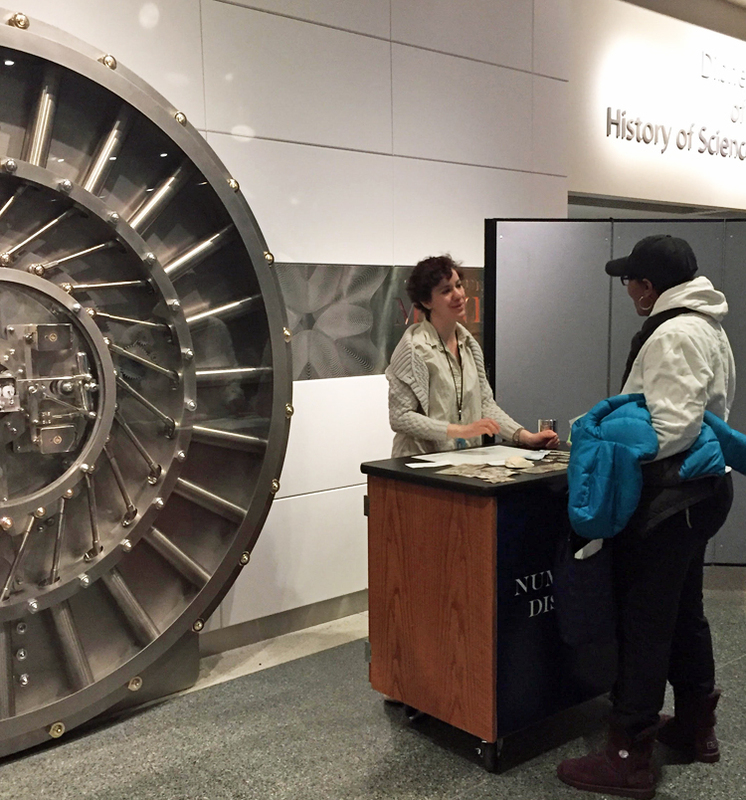 MATM is a project of the Accessibility Program, that invites visitors with cognitive and sensory disabilities to the Smithsonian museums one hour prior to public opening so that participants can take advantage of a quieter environment. Before their visit, registered families received a copy of our pre-visit sensory resources (still in prototyping phase!) to look over and prepare for their visit to Spark!Lab. The staff and volunteers on hand that morning were there to help families navigate the space, facilitate activities and learn more about how we could better serve their needs. A talk back board provided a space for kids and their grown ups to share their initial thoughts about the resources they used. Nobody filled it out, but hey… that’s prototyping! I thought it was still important to send the message that these are works in progress and that we are actively soliciting their input. We saw some kids and families using the resources they printed at home and brought with them, or used copies available in Spark!Lab. It was also really neat to see the other activities around 1 West outside the Numismatics gallery, American Enterprise, and Object Project. 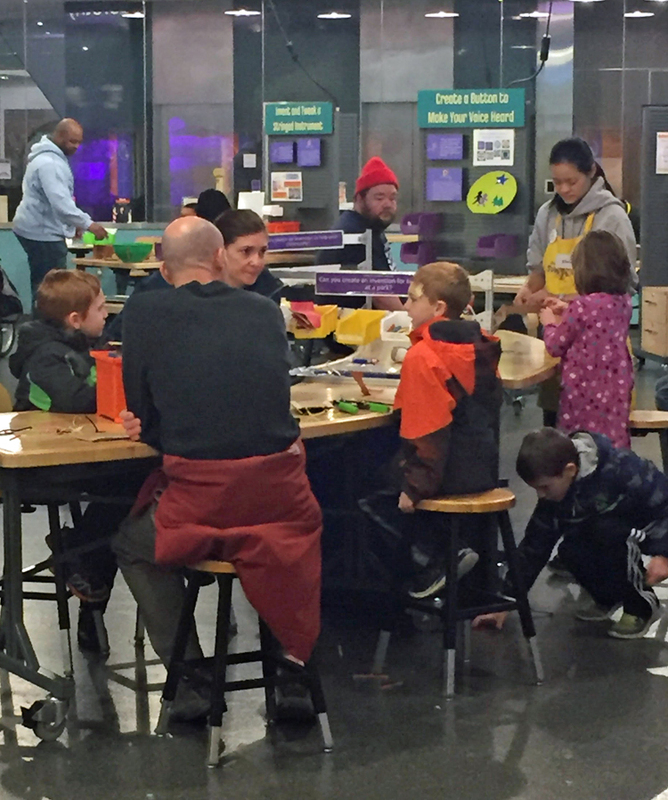 Spark!Lab is sending out an online survey to MATM families who used the resources to get feedback, gain insights and tweak our prototypes and make them better, more user friendly and help us generate more opportunities to engage these kids and families. I’m proud of the work we’ve accomplished so far and the response we’ve gotten from our colleagues interested in our model. These are small but important steps to really living our mission and giving everyone the opportunity to realize they are inventive. In recognition and appreciation for all our Spark!Lab volunteers!